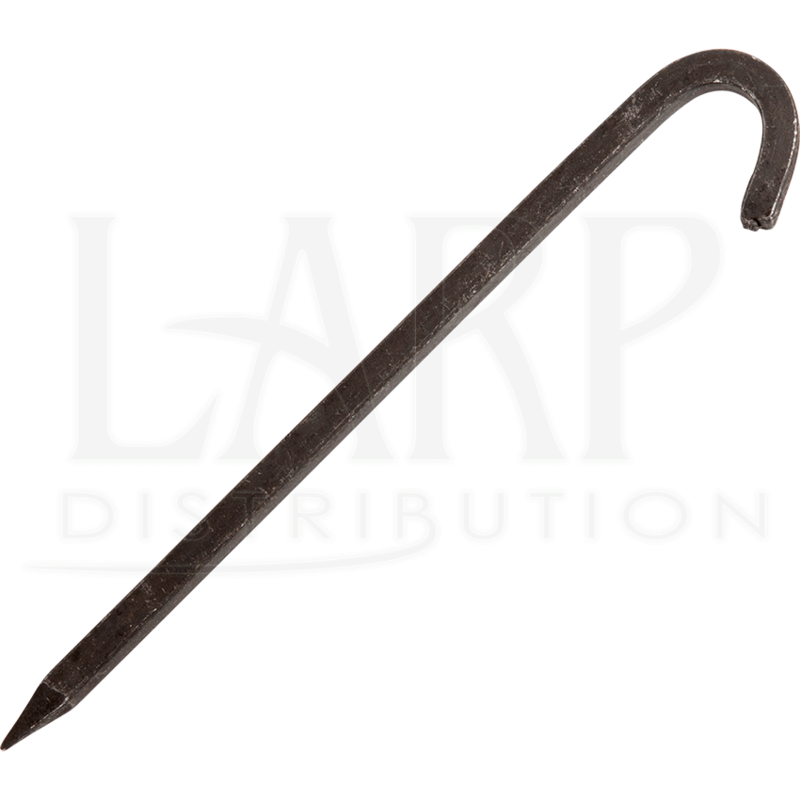 The next time you set up camp for your historical event, the Iron Tent Stake is a fantastic choice. This historical camping tent stake is forged by hand, and its rugged look suits any setting, from the Middle Ages to the Civil War. The end tapers to a point for easily piercing the ground, and the head has a hook shape. 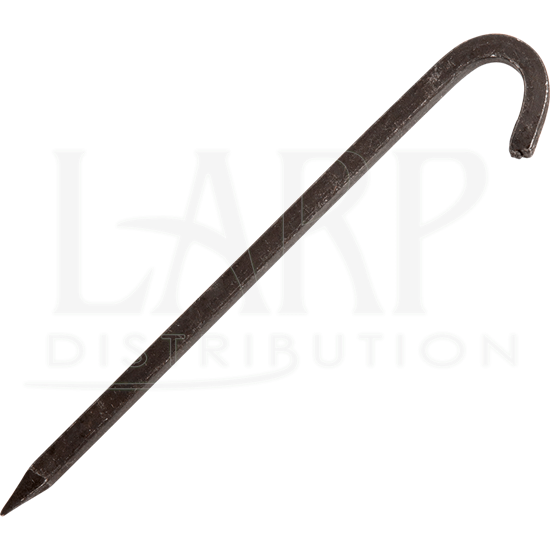 Easy to pull out of the ground and secure when in place, this hand forged tent peg is essential for all kinds of historical reenactment, Ren faire, or LARP camping.